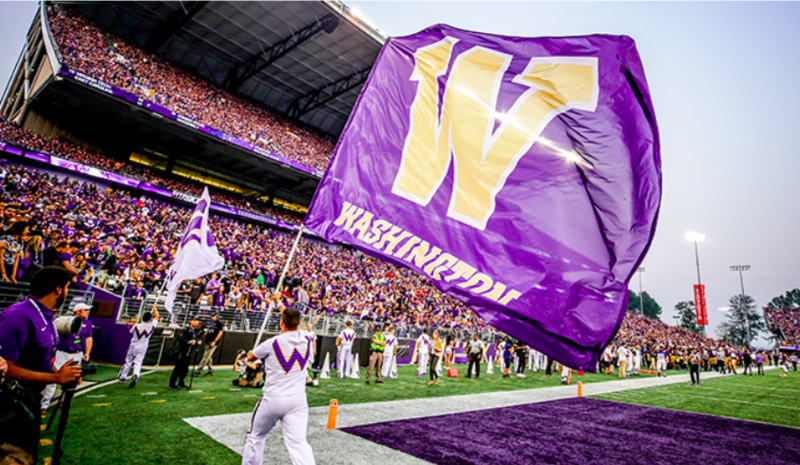 University of Washington athletic officials announced plans for a 10-year agreement to make Adidas the official athletic footwear and apparel partner of the Huskies through June of 2029. The university had been wearing Nike for 20 years. The agreement is contingent upon approval from the UW Board of Regents. Adidas welcomes Washington as the newest member of the family. The brand is the official uniform, footwear and apparel provider for more than 100 collegiate programs including Arizona State, Georgia Tech, Indiana, Kansas, Louisville, Miami, Mississippi State, Nebraska, North Carolina State and Texas A&M. The Seattle Times reports the deal is one of the most lucrative in college athletics. Nike paid roughly $3.5 million a year. Per terms of the contract, Adidas has agreed to pay the Huskies $5.275 million annually in cash, $5.58 million annually in product and $1.1 million annually for marketing, a source with knowledge of the deal told The Times. The UW-Adidas 10-year, $120 million deal is believed to be the seventh-richest apparel contract in college athletics. UCLA has the largest, a 15-year, $280 million contract with Under Armour. Washington is Adidas’ 12th college, and the first on the West Coast. Louisville (10 years, $167 million) and Nebraska (11 years, $128 million) are its largest NCAA clients. Both agreements were made last August.